in the Kasai region of the DRC. The average price of a big Mac meal at McDonalds is $5.99. I bought two cheeseburgers, fries and coke the other day for $4.89. I am able to satisfy my hunger as it arises each day. Unfortunately, there are many parts of the world where that is not true. The Democratic Republic of Congo is one of those places. Many experience gnawing hunger as an everyday occurrence. It is especially severe in the area known as the Kasai. Political unrest has devastated communities, families and individuals, resulting in starvation. Fields have been ruined, two planting seasons have come and gone. Homes have been destroyed and many people remain in hiding. Recent estimates indicate as many as 1.3 million people have been displaced in this area adding to the already 2.0 million people from other areas of the country. Organizations such as the UN and MCC Relief are beginning to provide relief, but the need is great and the opportunity to reach all the communities is not possible. The more rural areas continue to be at risk. Through Hope4Congo’s ongoing twelve-year relationship with the more rural community of Ndjoko Punda we are able to help. We have provided tools and resources for a group of individuals (our friends and fellow workers for Christ) who are hard at work planting new crops and raising farm animals such as rabbits and pigs for meat. so that both the present and the future food needs are met. We are asking for your assistance in this effort. For $10 dollars a day we can provide nourishment for 15 to 20 of our friends who are working hard to counteract the devastation in their community. Your commitment of $10, 20 or $50 per month will help these men and women, young and old to minister to their communities in the name of Jesus Christ and live out the gospel each day. 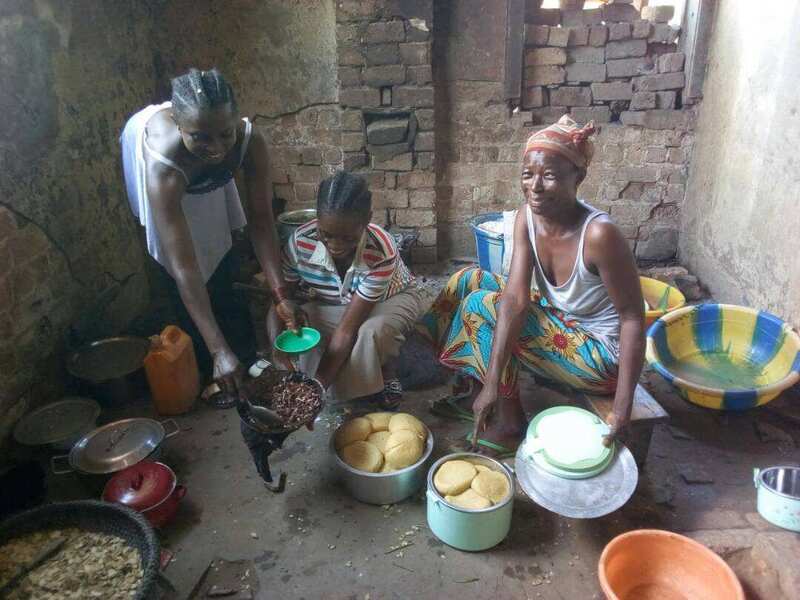 This link provides a firsthand account of the suffering in the Kasai. Donations can be sent to Africa Inter-Mennonite Mission.